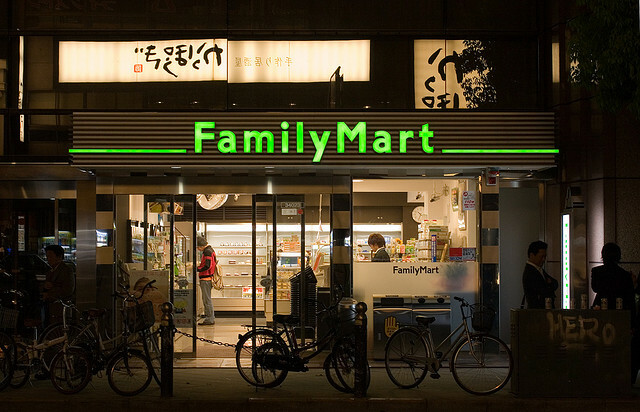 There are many easily accessible convenience stores in Japan. Many of the items look so delicious that they subconsciously end up in your shopping basket even if you had no intentions to buy anything. Neighborhood convenience stores are very helpful when you don’t have the energy to hike up to large supermarkets. Be sure to check them out at your next visit! It doesn’t fill your stomach fully but it might be a small snack and refreshes you. Hot and creamy chocolate surely satisfy you. Be careful of burning your toung. You might have your three times day meal from seven-eleven. Everyone who get daily dishes mainly in convenience stores, has same idea that frozen soy sauce flavored ramen noodle is very delicious. 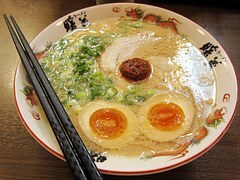 This ramen series have another flavor, miso. Try miso flavor as well. You’ll be satisfied with a great volume of the ramen noodle and reasonable price. It is said that green tea flavored sweets in convenience stores are not good. But this cream puff does away with the superstition. This is a great hit. Inside green tea flavored cream is not so sweet and heavy. I recommend that you freeze cream puff in the fridge before eating that will be more delicious. Speaking of convenience stores foods, rice balls hit on my mind first. You cannot say anything but delicious about this flavored rice ball. It’s good for you specially who love chicken and egg, and a soy sauce flavored chicken rice ball. This rice ball reproduces the Japanese chicken rice ball. The Tsukemen noodles are around 300 yen at lowest in a usual Chinese restaurant. You need to pay more than 500 yen when thick tasted soup Tsukemen is served. Although the convenience stores’ frozen Tsukemen at low price mightn’t move you, this Tsukemen noodle tastes really nice. The quality is beyond the price. It is as same as the noodle shops’ one. The person who is into Tsukemen will like it. Why don’t you try the seven-eleven frozen Tsukemen noodles to save money and time? How about these five foods? Go and buy delicious foods if you like them!